Rice noodles are made from rice flour and water. 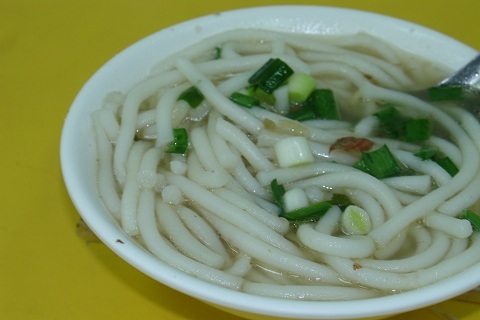 They are short, about 5cm long and 5mm in diameter, and traditionally served as a dessert noodle. They are combined with shaved ice and sweet beans to make one of the most traditional sweet dishes in Taiwan. Note: It can also have a salty flavor and is equally delightful. This APP is based on Twitter Bootstrap, which is under Apache 2.0 license. The Taiwan symbol, by ILVTW, is under CC-SA-3.0 license.